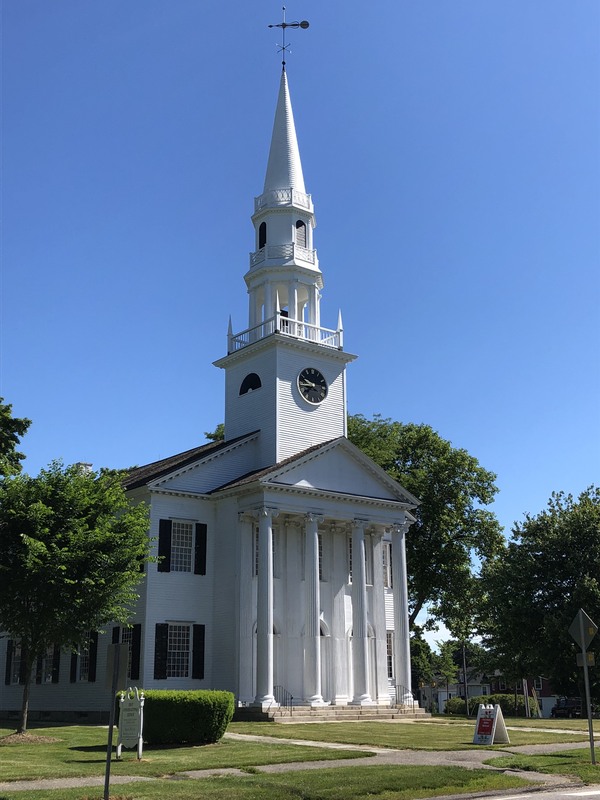 Thanks to Brad Bergfalk, pastor of First Congregational Church in Litchfield, Connecticut, for inviting me to preach yesterday. 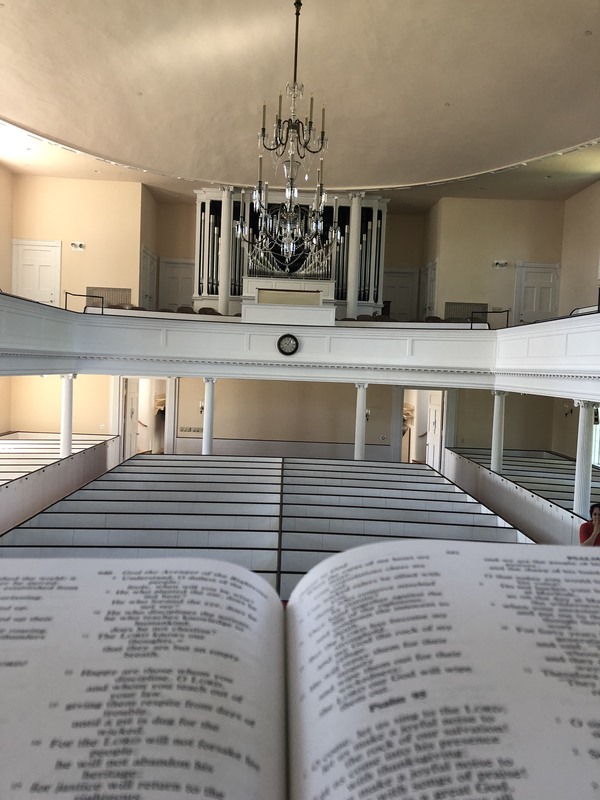 It’s always a pleasure to preach in other churches, but especially in one as historic as FCC Litchfield. That congregation was organized in 1721, and the current building dates to 1829. My favorite radio station is called The Current, 89.3 FM in Minneapolis and St. Paul. It broadcasts from Minnesota Public Radio, but The Current doesn’t feature classical music, jazz, or All Things Considered. No, the Current plays a unique mix of rock, alternative, pop, folk, hip-hop, electronica, blues, and other genres, including lots of local bands from our fertile music scene. But it is public radio, so every few months we Current listeners have to suffer through pledge drives. This past spring, the station tried to enliven things: based on listener votes, Current DJs used the pledge drive to count down “The 893 Most Essential Songs.” (Remember: 89.3 FM.) The list started with #893 “I Love Rock ‘n’ Roll” by Joan Jett and the Blackhearts and ended with #1 Prince, “Purple Rain.” (Remember: Minneapolis.) In between, there were 40 songs by The Beatles (and individual Beatles), 17 by The Stones, and 13 from U2. But it’s The Current, so the list was eclectic. Just in the ‘A’ section of the alphabet, there were three songs each from AC/DC, Adele, and Al Green, and Aretha Franklin and Amy Winehouse had four a piece. So, what makes these songs essential? “There’s no right answer,” every DJ insisted all week. “It’s personal.” I, for one, can’t believe Amy Winehouse placed almost as many songs on the list as my favorite band, Wilco (5). But what’s essential to one person is totally dispensable for another. Likewise, if I asked everyone in this sanctuary to name their most essential hymn or worship song, I’m sure we’d come up with dozens. But I want to suggest this morning that, for the Church, there is one essential song, not 893. We sing it in many languages, to many tunes and tempos, to the sound of many (or no) instruments, but at its essence, what is the Church called to sing but the new song of Psalm 96? Say among the nations, “The Lord is king! Like most of the 893 songs on The Current list, Psalm 96 has a relatively simple, repetitive structure: after a memorable intro riff (verses 1-2), we have a beautiful A section (vv 3-6) that repeats with a slight variation (vv 7-9, call it A’) before moving to a dramatically different B section (vv 10-13). So what makes it so essential? Psalm 96 tells us three foundational truths: Who God is, what God does, and what that requires of us. First, who God is. The “A” sections of the song communicate, in slightly different ways, the attributes of God. But I have to say… “Four bare walls and a sermon” has never looked so beautiful! And that’s appropriate. For however grand or modest the architecture, however ornate or plain the decoration, what can we do but to worship God “in holy splendor”? This is partly what makes this song “new”: it is surprising, proclaiming a different kind of king to a world that thinks that it knows what power looks like. A king who not only creates in beauty and governs with strength, but continues to do a new, beautiful work: “Sing to the Lord, bless his name,” we’re exhorted, “tell of his salvation from day to day.” This Creator King is also a Savior. As Christians, we want to read salvation through our own layers of interpretation. But as a work of the Hebrew scriptures, start by reading the word “salvation” in light of what comes before it. Psalm 96 is part of a sequence of psalms of praise that follow a much darker text: Psalm 88. That psalmist sings to the “God of my salvation,” but as a cry of desperation from a troubled soul that feels as abandoned and forgotten as “those forsaken among the dead, like the slain that lie in the grave, like those whom you remember no more, for they are cut off from your hand” (v 5). This psalmist still calls out to his savior… but receives no answer. So his psalm ends in lonely darkness… then we turn the page and the next psalmist immediately sings of God’s “steadfast love… faithfulness as firm as the heavens” (Ps 89:1). It’s a jarring transition, but an important one to keep in mind. What we find in these psalms isn’t cheap praise, vapid worship choruses that repeat mindless platitudes. The author of Psalm 96 can sing of beauty, strength, and honor precisely because his people have known ugliness, weakness, and shame. This “new song” is part of the worship being offered by people who have known suffering, who remember slavery and experience exile. People who know God — but can’t fully understand him. People who ascribe glory to God — and tremble before him. People who know that there is no justice without judgment. Where is the mercy, the grace? Understand that this is the essential song of Scripture — but not a comprehensive one. God will inspire other songs. So we know that there is gospel, not just law; life, not just death. But there must be justice for the oppressed, not just forgiveness for sinners. Perhaps the essential song of the New Testament is the one given Mary to sing in Luke 1: the Magnificat tells of “mercy for those who fear” God, but also of a mighty God whose strength is shown lifting the lowly and toppling the powerful, filling the hungry and sending away empty the rich (vv 50-52). Likewise, the king we praise with the “new song” of Psalm 96 is a lord of equality who will “judge the peoples with equity.” Hearing that makes the trees sing and the seas roar; the prospect of God’s judgment makes glad the heavens and joyful the earth, knowing that he is coming to put creation to rights. That’s who God is, and what he does. But third, what does that require of us? Go back to the “intro” to our song. Verses 1 and 2 use imperative language: they issue a set of commands as important as any of the laws in the Torah. Along with “all the earth,” you are being told to sing God’s song. “Sing God’s song,” not “If you feel like it, sing God’s song” or “If you’ve had years of training, sing God’s song.” Worship is not an optional activity, something to be left to the clergy, the choirs and organists, and worship teams. The psalms sound repetitive to us because they were meant for call and response, as the priests chanted a line and the congregation echoed it. And anyway, “sing” is both literal and figurative here. Make that joyful noise, but don’t stop there. Even after you leave this sanctuary, go “Declare [God’s] glory among the nations” with song, with speech, and with silent service to others. By all means, practice the song here in worship — and be reminded that we sing to God, not just about God. But for the psalmist, worship is inseparable from evangelism and social justice. What does God require of us but to sing, with word and deed, of his strength and beauty, his salvation and judgment, his glory and equity? To sing, literally and figuratively, a new song for a new heaven and a new earth? Alas, Christians botch the song. We’re like a terrible cover band. We sing something essential, and just disappoint and confuse our audience. It’s partly a problem of Christian disunity. We have thousands of churches singing the same words to thousands of different tunes. How is the world supposed to know who God is or what God does when salvation and justice sound so different depending on who’s singing of them? But that’s not even the deepest problem. After all, even if Christians can’t sing this “new song” in unison, we can sing it in harmony. No, the real problem is that we sing with dissonance. Christians sing one song with their mouths… and another with their lives. We sing of a God of beauty, but there’s nothing so ugly as the hypocrisy of Christians. We sing of a God of justice, then deny equity to our neighbors. We sing of a God of strength, then trust in the powers of this world. Ultimately, that’s a problem of worship: false worship. Our psalmist laments that “all the gods of the peoples are idols,” and I only need to think of my own branch of Christianity to know what he means. Wealth, guns, misogyny: white evangelicals like me seem able to make an idol out of most anything. Probably worst of all, we evangelicals too often confuse this country for God’s kingdom. But that’s an old, old problem. (And it’s not just evangelicals.) The most famous preacher in the history of this congregation was Lyman Beecher, who was pastor of First Congregational from 1810 to 1826. A few years later, while serving as a seminary president, Beecher gave an appalling fundraising speech in Boston. Called “A Plea for the West,” it celebrated the United States as a specially anointed nation, but one that belonged to white Protestants. For Beecher, God’s chosen people were being threatened by a “rapid influx of foreign emigrants, unacquainted with our institutions, unaccustomed to self-government, inaccessible to education.” Catholics from Ireland and Germany, he meant: “a rush of dark-minded population… leaving Europe and dashing upon our shores.” Whether in the 19th century or the 21st, too many white Protestants have worshipped an America that looks like them, worship that deafens them to God’s words of compassion for the alien and the outcast. But let’s not lose hope. Lyman Beecher may have mobilized nativism and anti-Catholicism, two of the ugliest impulses in American society, but two of his children helped oppose a third. 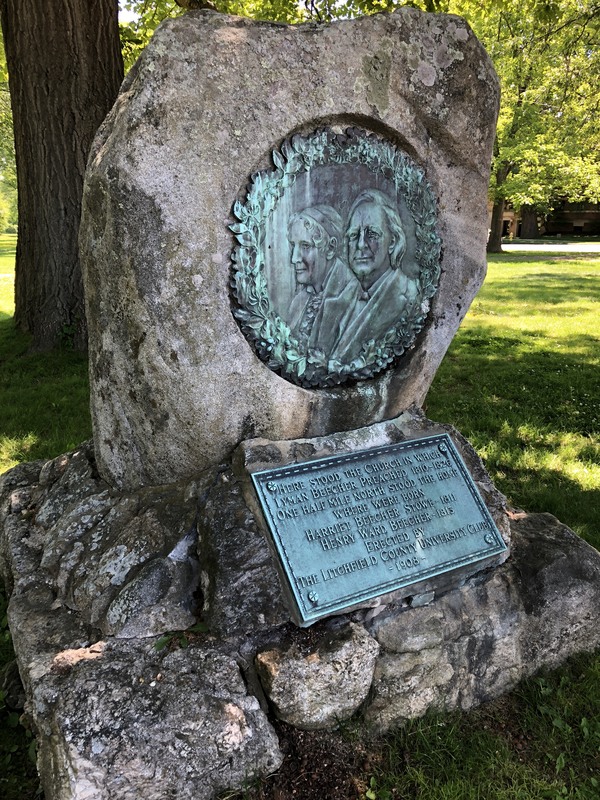 In the years before the Civil War, two leaders of the abolitionist crusade against slavery were Henry Ward Beecher and Harriet Beecher Stowe, the author of Uncle Tom’s Cabin. And Lyman Beecher may have feared an “influx of foreign emigrants,” but today this church supports the Northwest Refugee Project and prays for children separated from their asylum-seeking families on our borders. So how can we learn to sing the “new song” in such a way that people can truly hear it? That’s a whole sermon series in itself, but let me close with one piece of advice — something I’ve picked up from years of singing in choirs. You will never learn how to sing well unless you’ve first learned to listen. Even seasoned choral singers make mistakes when they don’t listen. Sometimes they think they know the song by heart, but have actually memorized mistakes that they keep repeating. Sometimes they ignore what the director is trying to tell them. Or they know their part, but don’t think about how it sounds in tandem with what others are singing. Some simply never pause to think about their audience and how it is hearing the song. In our book, The Pietist Option: Hope for the Renewal of Christianity, Mark Pattie and I conclude by reflecting on what it means to sing God’s new song, to proclaim his good news of salvation and justice to the world. We write about preaching and evangelism, and how we can declare God’s glory by doing good for our neighbors. But in the middle of the chapter, we suggest a different kind of proclamation: a ministry of listening. It starts with tuning your ear to God’s word, as you hear it over and over in prayer and meditation, in Bible study, in worship, and from the pulpit. But listening also requires that you give your attention to the people around you. So listen, to God and to your neighbor, then sing, to the glory of God and the good of your neighbor. Tune your ear to the enduring word of a mighty God and to the plaintive cries of a suffering world, and you’ll know better how to sing the new song you’re called to sing with all your life.